After completing a degree in Botany and PhD in Plant Ecology at Imperial College, London in the late 1960s, Professor Graham Harris worked at McMaster University in Canada for 15 years where he became a Professor of Biology and carried out research on the ecology and management of the Laurentian Great Lakes. He came to Australia in 1984 and worked for CSIRO for over 20 years where he held many research management and senior executive appointments. He was Director of the Port Phillip Bay Environmental Study (1993-96); the foundation Chief of the Division of Land and Water; and until 2003 Chairman of the CSIRO Flagship Programs. After completing this task he stepped down as Flagships Chair and was made a CSIRO Fellow. He left CSIRO in early 2005. Graham was Director of ESE Systems Pty Ltd, a consulting company specialising in research into, and the management of, complex environmental, social and economic systems. 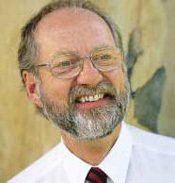 He was an advisor to a range of universities, research agencies, private companies and government jurisdictions both in Australia and overseas; was a member of the Australian National Water Commission Aquatic Ecosystem Advisory Group and was appointed Chair of the Science Reference Group for the ‘Living Murray’ program. He was an Affiliate Professor at the Centre for Environment, University of Tasmania, an Honorary Research Professor in the Sustainable Water Management Centre at Lancaster University, UK and Co-Director of the Lancaster Environment Centre. space science and remote sensing. He has published more than 140 papers, and three books. His latest book Seeking sustainability in an age of complexity was published by Cambridge University Press in June 2007. Batley GE, 2009, Personal communication.